At Bluebell Park we offer a range of care delivered by our highly trained team, who are on hand to answer any questions. Our purpose built 3 storey building sits within beautiful landscaped gardens where residents and families can enjoy the local wildlife and the beautiful flowers in our borders. We have a number of lounges and quiet areas where residents can watch TV, enjoy activities or just have a chat with friends over a cup of tea. All our bedrooms offer en-suite facilities and we also have specialist baths for residents to relax in. We offer an on site hairdressing service and have a visiting chiropidist. We also have a visiting music therapist and the local GP will visit as required. 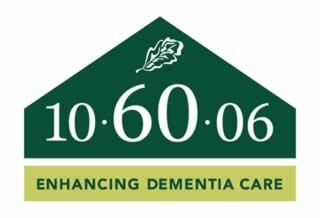 Our highly skilled team of dementia experts work hard to ensure the highest quality of care, based on the latest research.